Another day another central banker rally. The ECB’s Draghi hasn’t even spoken yet, but after an uneventful day in the US and weaker overnight action, out of the blue, on no news, the $ES ripped by 10 handles within a few minutes. As irony will have it, I came downstairs looked at futures being down 3.5 handles, made some coffee, and by the time I sat down the $ES had ripped from 1828 to 1837. The coffee was still good though. It continues to amaze that absolutely nothing happens during regular market hours but a range bound chop and then a quick ramp in a low liquidity environment changes global market valuations by hundreds of billions of dollars in minutes. It is what it is. While the #DAX has ripped hard so far it remains within the range of the bear flag I had outlined previously, so we have no evidence to change our view at this point. As far as $ES is concerned it has entered my shorting target zone and I added more at 1837, bringing me to 1833.25 average for now. As markets mostly key off central banker talk we will need to wait for the Oracle of Europe Mr. Draghi to share his good will on European equity markets. This will happen at 13:30 here in Europe. So expect more volatility around this time frame. For now it is clear that the agenda is higher today. As we are now also heading toward Friday with another large POMO the short case for this week looks very weak especially with Opex next week. I therefore expect this next week to be an exercise in patience with scalping and day trading to be the primary money maker. While I use past analogs with caution the structural similarity to 2000 continues to amaze. Following the chart to the right as a guide we are looking at basically what has been happening so far. 3 days down, then a bounce to near pervious highs (which seems to be happening today/tomorrow) a small retrace then next week followed by another push higher into Opex, and then a sell-off into the rest of the month with a bounce on the last day. Conceptually this seems to be a decent play. Trade Plan: We are in a 20 point range now, 1820 -1844 $ES until we break out one way or the other. My focus will be on quick intra-day trades fading strength and buying weakness, while slowly building futures swing short positions. Given the likely large gap up now and $VIX already very low as of last night’s close I expect the open dump of $VIX to provide a decent sized call buying opportunity. 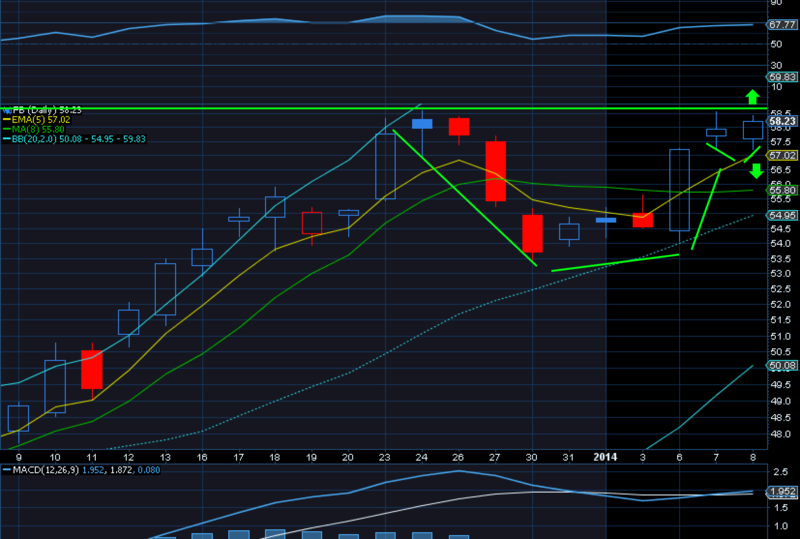 My play will be to scale into February $VIX calls in the $13 strike area! $FB: I’ve held off on any positions here, but it now looks to be a potential cup and handle pattern. A break-out above highs would confirm. With today’s gap up we might just see that move. 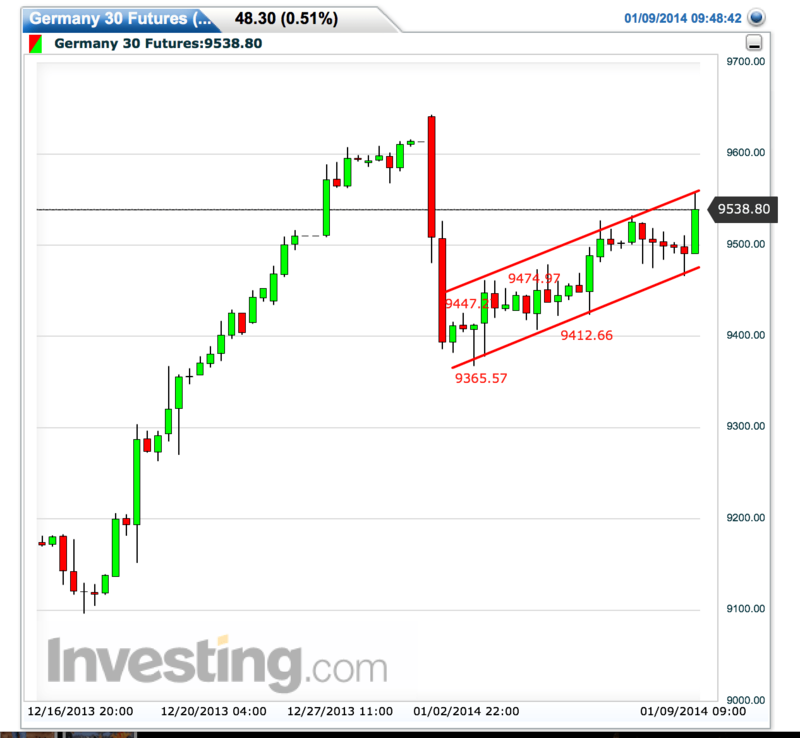 If you want to play long, you may want to wait till a retest of the previous high as support & then long it via calls. Likewise a failure to hold the highs may then provide a short opportunity. $AAPL: Below key MA’s with MACD pointing south. 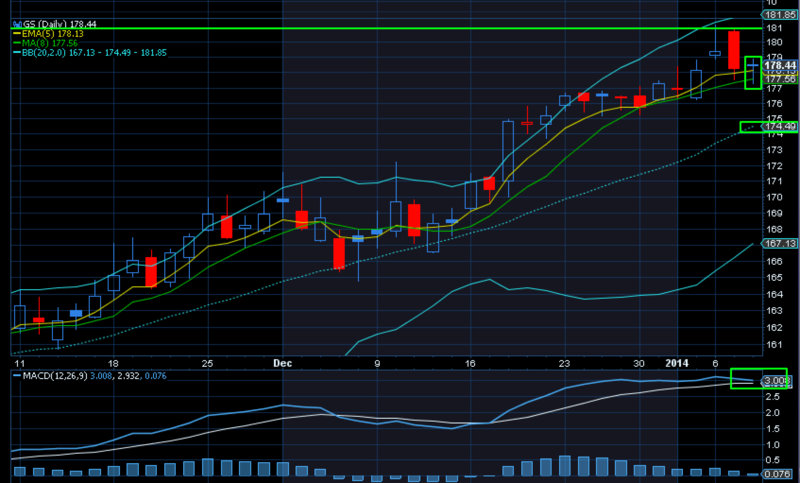 Need to see a close above 5 EMA and a turn in MACD for a long play. As it stands it looks to be bear flagging and we may see further downside. $NFLX: We came very close to the weekly 21MA yesterday. 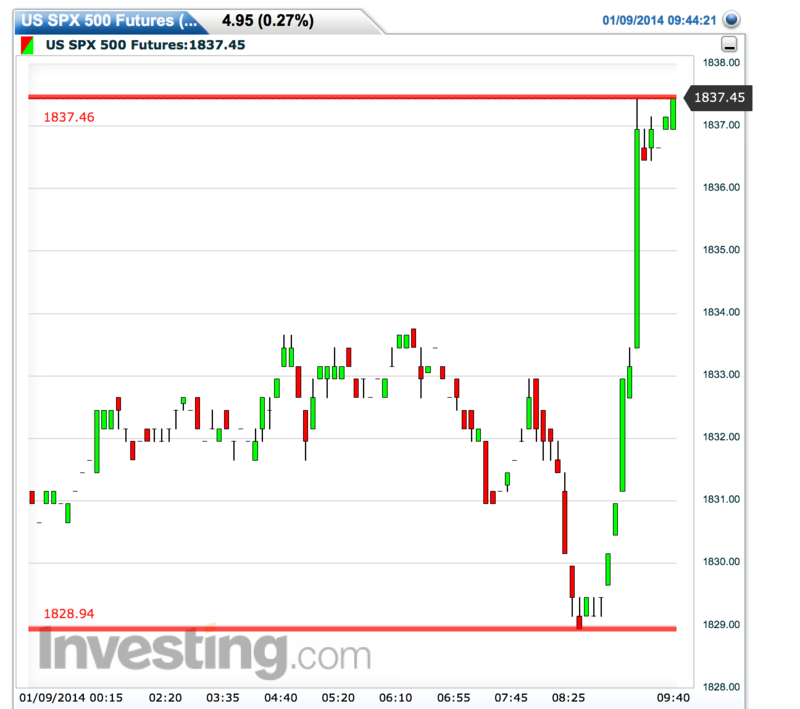 I didn’t take the trade yet and we may not get it now with strength in indexes. 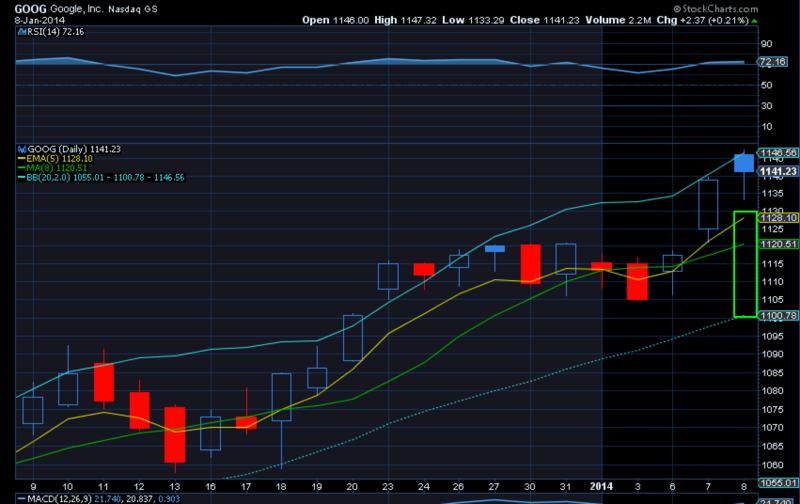 But any weakness today into the MA maybe worth a weekly call play for this week’s expiry. $GOOG: Yesterday showed the first sign of weakness, but with this morning’s index moves I doubt we see any serious pullback in this stock until after Jan Opex which means my puts are looking very sick until we see a market turn. $GS: GS acted weak most of the day with a ramp in the last few minutes saving the MA’s. Upside risk is a revisit of the highs which may provide another put opportunity. A deeper correction will not take place till we see markets turn. My remaining put position for this week will be at a loss which is ok as I took solid profits on the other 2 positions more than paying for this smaller level 1 entry. 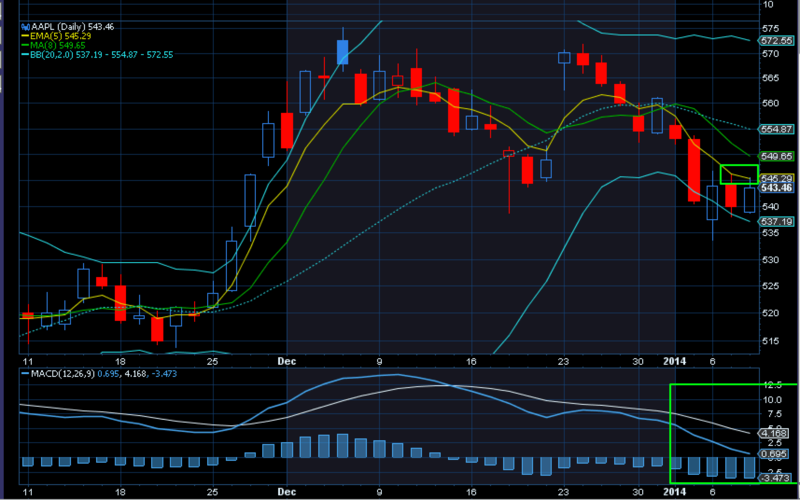 The daily MACD is close to turning lower indicating a loss in momentum. 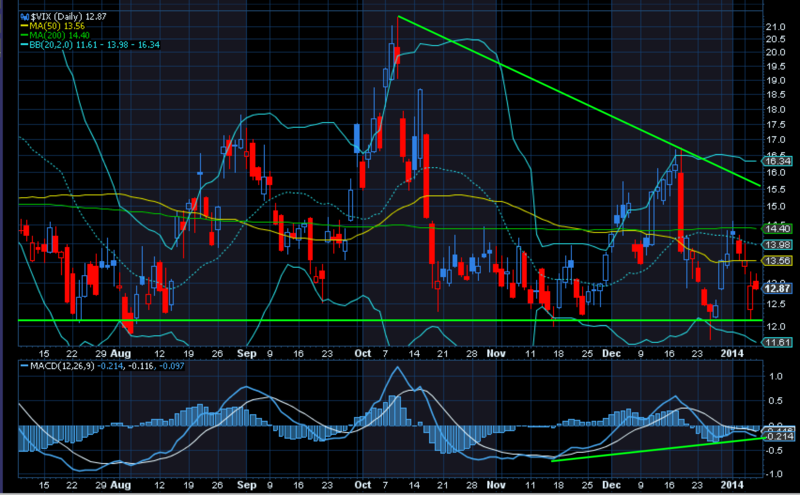 $VIX: Back to support zone with positive MACD divergence. I will be a buyer of FEB calls here. 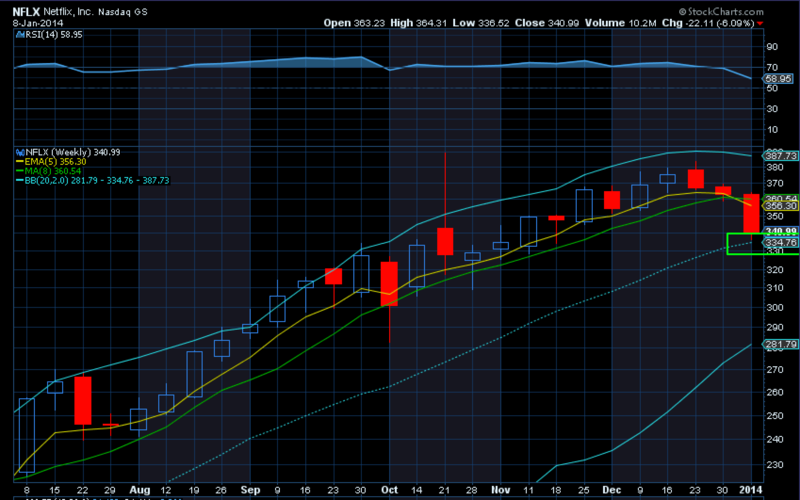 A move into the 20s by Feb Opex would not surprise me.